Support the Tool Library Garage Sale! We will feature an assortment of garden tools, small power tools, and manual woodworking tools. We’ll also have a free tool table, so be sure to stop by early for the best selection. All proceeds from the sale to benefit the West Seattle Tool Library Community. Hope to see you there! A riveting documentary about an accident at a Titan II missile complex in Damascus, Arkansas, in 1980 that almost caused the detonation of a nuclear weapon 600 times as powerful as the bomb that destroyed Hiroshima. Mary Hanson, from Washington Physicians for Social Responsibility and the Ground Zero Center for Nonviolent Action, will speak briefly after the film and be a resource for the discussion. This is the King County Master Gardeners 2-Day Sale. The weekend starts with the Preview Party a fundraiser for the MG Foundation of King County, Friday, May 5. Tickets are available. Tons of tomatoes, veggie starts, fragrant herbs, perennials, natives and specialty vendors with garden art. Master Gardeners will help to to choose the right plants, find easy-to-grow plants, and give advice on planting and maintaining your garden throughout the year. Join us to get your garden growing this year. NEW this year. Garden Education Talks on Saturday, May 6th. Open to the Public: Ciscoe Morris, Karen Chapman, Bill Thorness, Elaine Sherbrooke. Guide for sustainablewestseattle.org: Environmentally safe cleaning methods. Trying to be more eco-friendly as a busy parent can sometimes seem like a struggle – you already have so much on your hands, how can you find the time? If you’re looking for simple ideas that can really make a difference to the environment – and your family – then why not start by reassessing what’s in your cleaning cupboard? It can be as easy as picking up a different product in the store, but having a real impact; studies by the Environmental Protection Agency show that indoor air can be two to five times more polluted than outside air due to toxic chemicals from cleaning products. Thousands of deaths of marine animals yearly can be attributed to toxic pollution from synthetic chemicals entering the natural water system. The plastic packaging from the products contributes to this further; large patches of garbage floating in the ocean have reached the size of US states. This scale of impact throws out the balance of entire eco-systems – all to get that sparkling finish on your counter tops. Closer to home, studies have also shown that conventional cleaning products can increase the risk of asthma in children; and many scientists support the ‘hygiene hypothesis’ that using chemical cleaners which are “too effective” limits the exposure of children to germs. This means that their immune systems fail to build up defences against harmful bacteria and become hypersensitive, often causing lifelong allergies to things like dust and pollen. Fortunately, it’s easy and simple to switch to environmentally conscious cleaning products and methods, without sacrificing the results. Many of the solutions can be homemade, and are far cheaper than branded alternatives. Get creative and think about where else you can apply the principles: how about cleaning your car or pet’s crate? · If you have limey water prone to scaling up in your bathroom and kitchen, try something acidic like vinegar, lemon juice or diet soda to remove the deposits. · Stains on ovens, sinks or cookers respond well to bicarbonate of soda. · Open your windows regularly for a blast of fresh air rather than spraying harmful aerosols or using air conditioning units. · Use natural wax or oil for cleaning and polishing furniture. If you’re struggling to go 100% eco-friendly straight away, don’t worry – try and cut out the most toxic chemicals first. Ammonia and chlorine are too big ones to watch out for; and by doing so, you’ll be helping the environment and your family. Author Jenny HoltPosted on March 10, 2017 March 13, 2017 Categories Uncategorized1 Comment on Guide for sustainablewestseattle.org: Environmentally safe cleaning methods. Celebrate the start of spring! This month we officially say goodbye to winter and welcome the the start of spring. This means that it’s that time of year when our forests will be getting greener, giving us all the more reason to get outside. 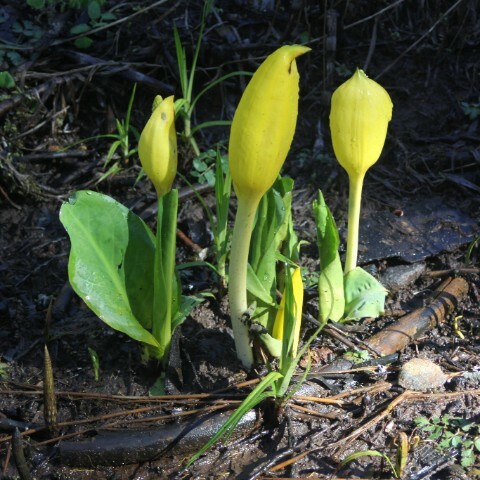 Check out how we are celebrating the spring season by spreading awareness about invasive species and learning about Washington’s early bloomers. Last week, we celebrated Invasive Species Awareness Week by featuring insights from local ecologists on their “favorite” invasive plants. 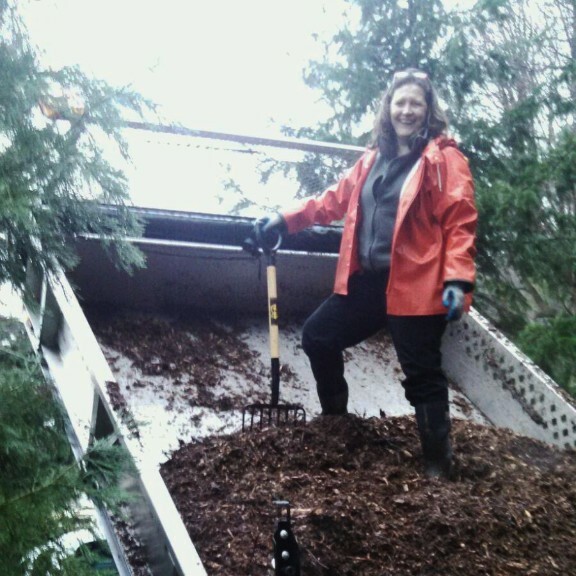 Click HERE to see what Seattle Parks and Recreation’s own Bridget Kelsh has to say about invasive blackberry and her time spent tackling it on Seattle’s Natural Areas Crew. 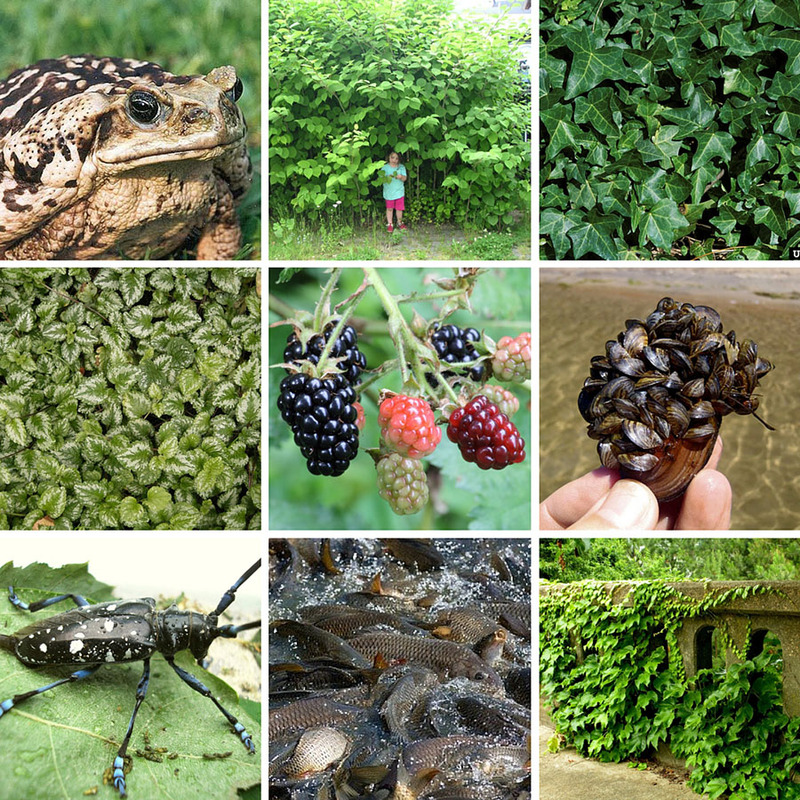 The Washington Invasive Species Council has created an easy-to-use app to report sightings of invasive plants, animals and other pesky organisms anywhere in Washington State. Just take a photo and upload it to the app, and your report will be sent directly to the right agency. Learn more about the app HERE. It may be hard to believe, but the official start of spring is just two weeks away! Forterra wants you to know which native plants will be blooming in the month ahead, and to get to know Washington’s true first signs of spring. Click HERE to learn about Washington’s early-bloomers, and get to know more about our state’s native plants. 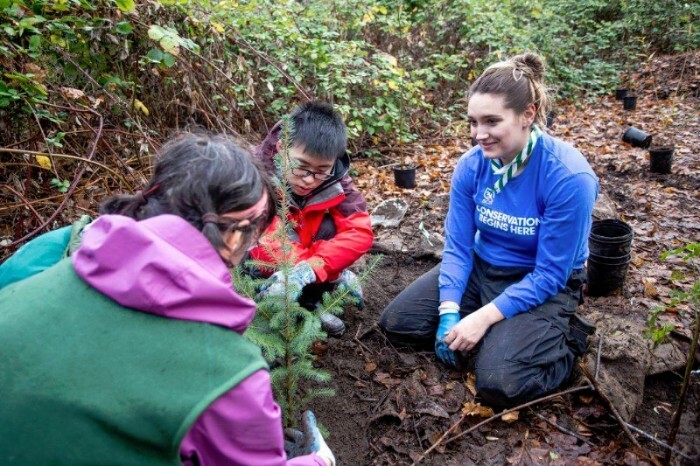 Kick off the start of spring by getting outside and giving back to Seattle’s forests! Check out some upcoming events below, and many, many more can be found here online. It’s time to come out of winter hibernation and get out into Seattle Parks! We hope to see you in the forest this spring. Visit the West Seattle Nursery Garden Stage! You probably already know, but if you don’t, the West Seattle Nursery and Garden Center is a wonderful place to get plantings, supplies and advice. They employ great people that are very knowledgeable about what to plant, where to plant, and when to plant it. This cool garden shop is sponsoring (and decorating!) the GreenLife Garden Stage this year. Picture: fragrant hanging baskets, nice lush saplings, a billion 4″ plantings…and BEAUTIFUL music bellowing about! That’s what we’re picturing too! Come on by and visit, both the Nursery and the stage.